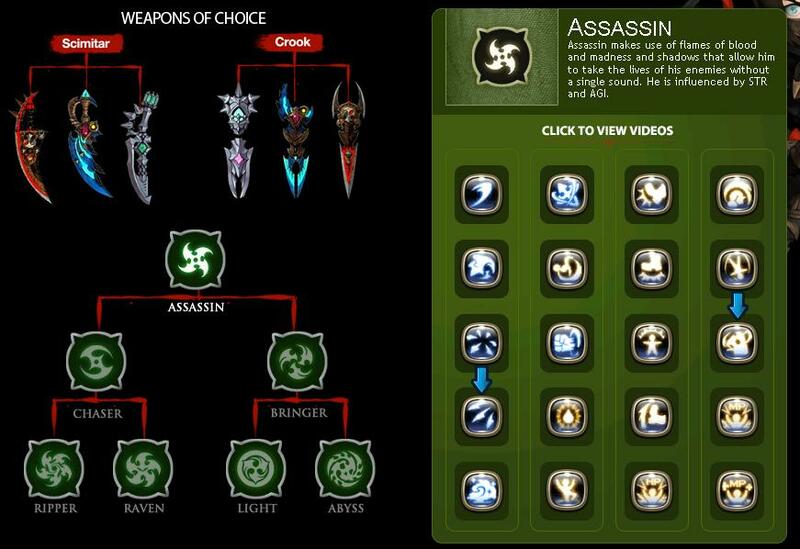 The Assassin class is finally coming this Tuesday in Dragon Nest SEA. Many players are excited with this class including me and I think it would be helpful to post a page which will discuss a skill build for this class which has potential of being the best build. As we all know, the Assassin class will have the Chaser class advancement which will then either be a Ripper or a Raven. 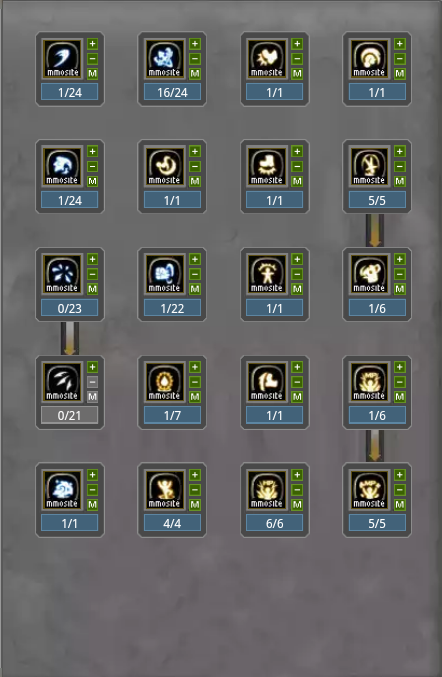 In this page, we will be discussing about my preferred skill build for a level 70 Raven. Take note that this is my preferred Best Ripper skill build. In short, this isn't really the perfect build for this class but just a guide which will become your guide on creating your very own perfect Ripper skill build. 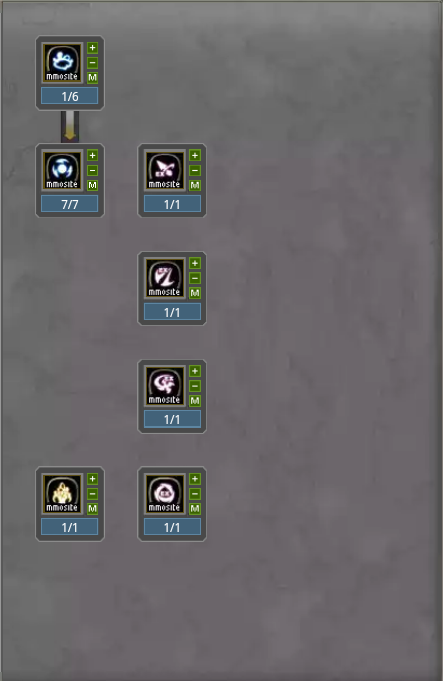 And of course, I need some suggestion on my skill build guys. Helpful comments and suggestions will be a big help for me and of course for others who are newbie Rippers. 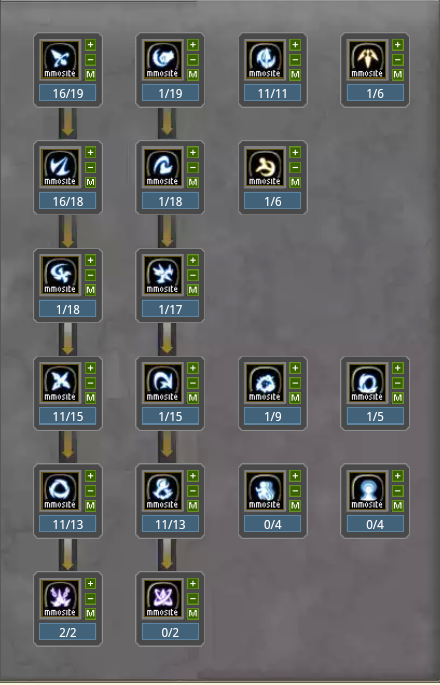 SP Distribution Explanation: Why did I get or skip that skill? In this tree, the only damage skill that I have leveled up high as a Raven is Piercing Star. Why this? Why not Fan of Edge? Well there's no problem in getting either Fan of Edge or Piercing Star. It's just personal preference why I chose Piercing Star and it is because I think it's more suitable for this class as this skill is more of a long range approach attack which favors Raven. You might also ask why Aerial Evasion is just at level 1. It's because you have another evasion skill that you can use like your Receive Edge on the Chaser skill tree. Shadow Hand is at level 1 for its superarmor break capability to destroy objects in nest or destroy the SA of other classes skills with the said effect. And lastly, I have invested SP on Feint as it really does help me a lot especially in times wherein it's a bit lag. It's a real life saver not because of the HP return it gives but the Invincibility effect it gives to the caster. Open Edge, Applause, Rain Drop and Punishment are a must have skill for Eaven. It's because Open Edge will have be a good damage dealing skill for Raven especially that it has it's Ex version. Applause and Punishment will not only be meant for damage but for the phy and mag defense reduction it applies to enemies. However, take note that the effect does not really mean a dmg reduction debuff but a defense reduction type like the Iron Wall Suffix. And lastly, why level up Rain Drop? What this skill have is good damage but most of all the dark elemental attack which Raven are know of. Oh yes! I did invest points on the Ripper tree until Izuna Drop. I do love the skill a lot not only because it looks like Rock Lee's signature Lotus move, but it also dish out good burst damage to the enemy. Also, you may argue with me why did I max Fade? Well, it is because it gives better burst damage to Izuna Drop and other burst damage skills. The downside is that you will gain extra damage received. But don't forget that this skill does remove ALL aggro so it's still a great skill. Just be careful on using this. Why invest SP on Burning Call? It is a good skill I think as it break cancel other Chaser skill. Some Ripper skills are long which some times leaves you vulnerable to enemy attacks. That is why you need a break cancel skill and that's the purpose of Burning Call. Illusion Step is for closing on target fast while Receive Edge, just like what I have said before, this is your extra Aerial Evasion. How about Dedicate Shadow and Dedicate Crow? On the Dedicate Shadow side, it is a big NO for me as the HP buff won't be really helpful for me but on tye Dedicate Crow side, well, I will let you decide. If you think the extra damage it gives is significant, then go get it but if not, then just skip. 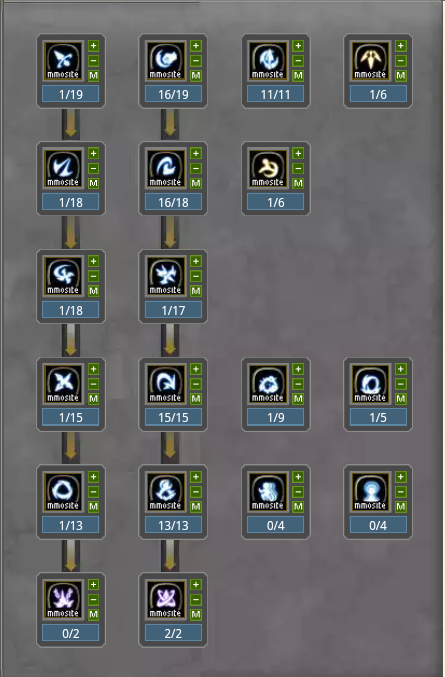 Lastly on the Chaser skill tree is the two ultimate skills namely Cripple Punisher and The End. Is it worth having duo ultimate? Well since you can't use the two at the same time, I prefer just having one and besides, you can't benefit on having two ulti just like other classes like Windwalker. If you are going Ripper then go with Cripple Punisher while The End if you are going Raven. In this side of the table, it is pretty basic. The only rule is get every Ex skills and as well as the two active skills. Crooking Dead Dall is a no brainer must max skill for the awesome damage it can deal to the enemies. How about Crow Ability? Well, get it if you have spare SP to increase your Dark element attacks. So there you have it guys...This is my preferred skill build for Raven at the moment. I will be rebuilding this with the helo of your suggestions and some more experiementation on the skills. So, what do you think? Can you consider this build great or do you have any suggestion on it? Please do write down your thoughts on the comment box below. As we all know, the Assassin class will have the Chaser class advancement which will then either be a Ripper or a Raven. 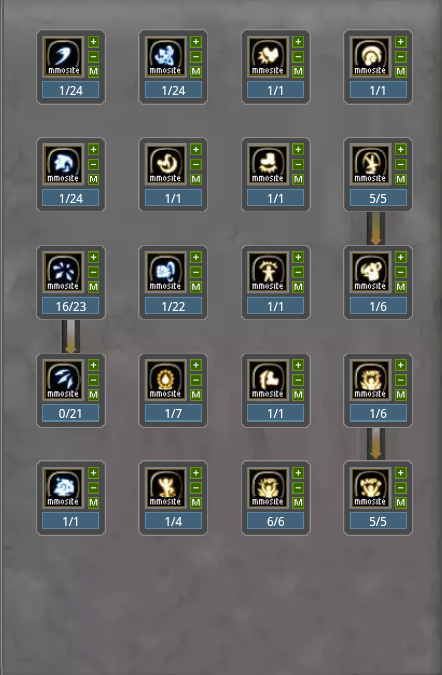 In this page, we will be discussing about my preferred skill build for a level 70 Ripper. In this tree, the only damage skill that I have leveled up high is Fan of Edge. Why? It's because of all active skills in this tree, it has the highest increment in damage especially if it reaches level 16 or more. Why did I invested SP on the Raven tree? I have invested SP from Open Edge until the Punishment skill for one reason, and that is because of the reduction of physical and magical defense debuff given by the Applause skill and Punishment skill to my Chaser. These two skill does help Chaser class do more damage to the enemy. However, take note that the effect does not really mean a dmg reduction debuff but a defense reduction type like the Iron Wall Suffix. And lastly, it is best to just level the mentioned skills to 1 as the percentage of damage reduction as well as the duration doesn't increase. Shift Blow and Camouflage is your main DPS skills so it is best to level it high. One of the highly debated skill in this tree is Blade Runner. Yes, it does have good damage dealt to enemy but the downside is, in most cases, it is really hard to make thie first hit of this skill hit especially in PvP. It could be a waste of DPS once you don't manage to make the first hit count as the skill won't continue. That is why, I prefer just leveling this skill to 1. On the other hand, we have no doubt that we should level Mortal Blow and Izuna Drop really high...Especially Izuna Drop as for me, this is the highlight skill of a Ripper. Remember Rock Lee's Lotus? Well, it's like Izuna Drop..Yeah I know...SWEET!!! You may argue with me why did I max Fade? Well, it is because it gives better burst damage to Izuna Drop, Artful Chaser and Fan of Edge. The downside is that you will gain extra damage received. But don't forget that this skill does remove ALL aggro so it's still a great skill. Just be careful on using this. Arsonist helps you boost your fire elemental ttack and defense while Artful Chaser is one of your DPS skill which by the way, does a lot of damage. How about Werewolf Ability? Well, get it if you have spare SP to increase your Fire element attacks. 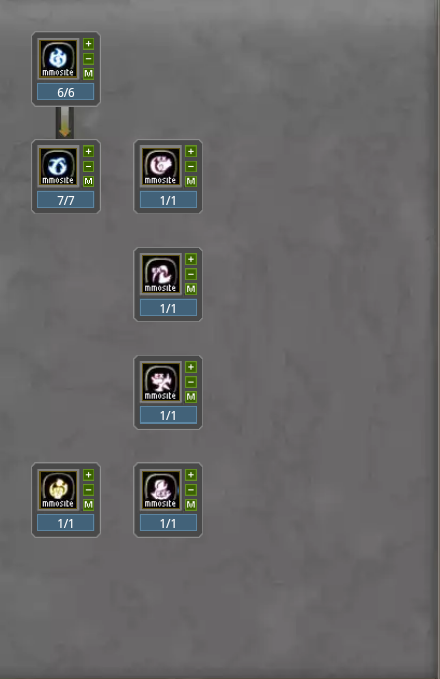 So there you have it guys...This is my preferred skill build for Ripper at the moment. I will be rebuilding this with the helo of your suggestions and some more experiementation on the skills. Min masih nerima donatour gak ?